Occasionally a tooth that has previously undergone root canal therapy, the tooth fails to heal or pain continues despite therapy. Although rare, sometimes a tooth initially responds to root canal therapy but becomes painful or diseased months or years later. There are many clinical reasons why a root canal treatment can fail. New trauma, deep decay, or a loose, cracked or broken filling can cause new infection in your tooth. 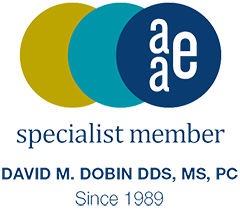 In some cases, the endodontist may discover additional very narrow or curved canals that could not be treated during the initial procedure. 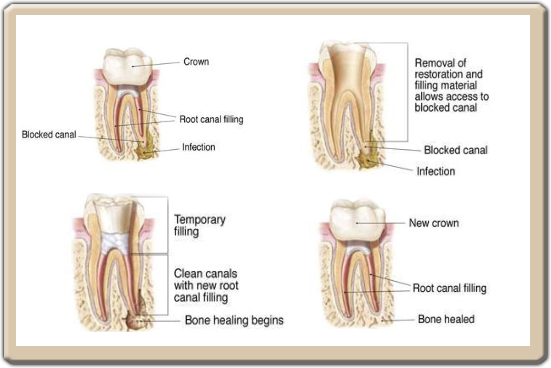 The tooth often can be saved by an Endodontist with a second endodontic treatment, called Root Canal Retreatment.